It was an honor and privilege to participate to the Microsoft Ability Hackathon, getting to know amazing people, further developing our Mirrorable solution and receiving the Ability Award for Community Service from Microsoft's CEO, Satya Nadella. This is representing a very prestigious award for #fightthestroke, recognizing leadership, advocacy and passion for accessibility and inclusion, at global level. 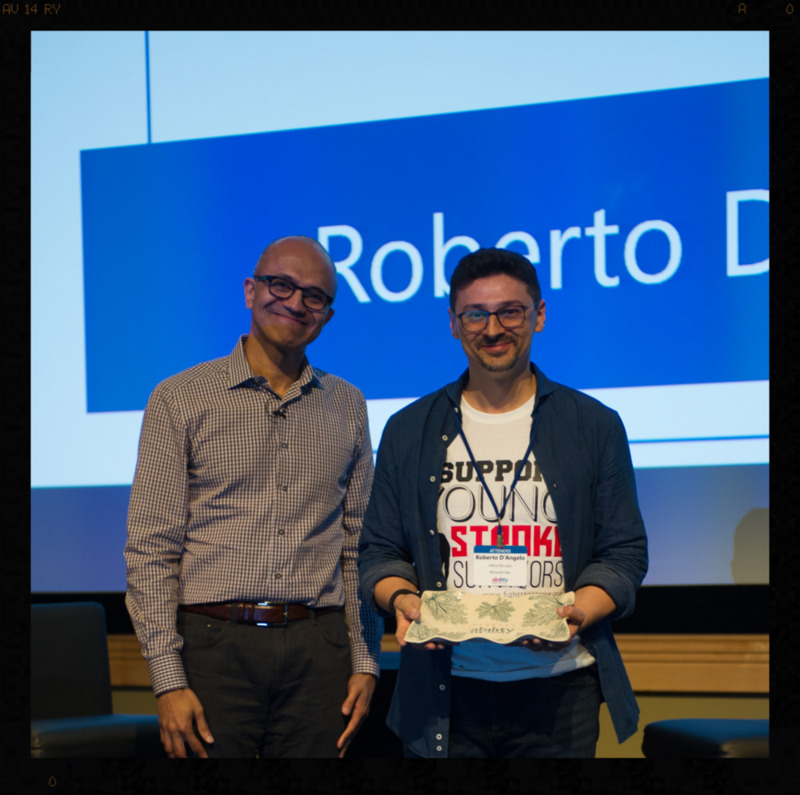 From their own words: 'Roberto D’Angelo has made a great impact by building the awareness, knowledge, technology and community necessary to ensure a better future for young stroke survivors through his “Fight The Stroke” association. Older PostAbbiamo scritto un libro perché avevamo ancora qualcosa da dire.